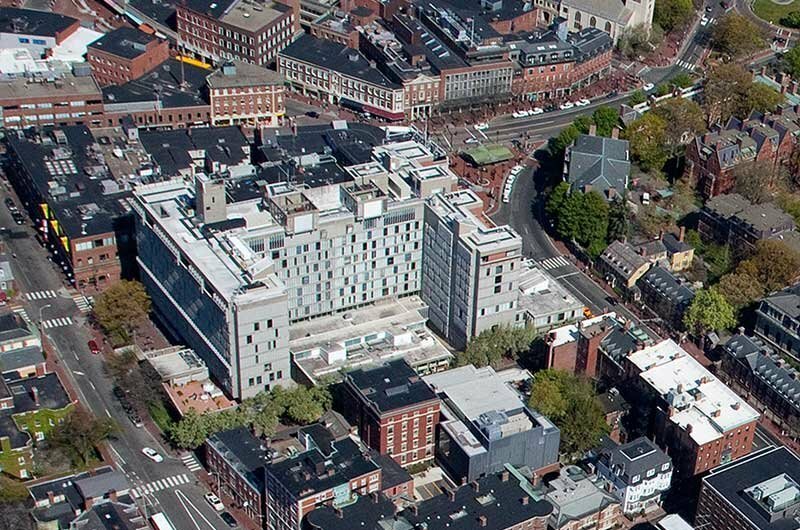 On the 14th November 2013, Harvard University announced the selection of Hopkins Architects as architects for the new Richard A and Susan F Smith Campus Center. Hopkins Architects were appointed following an international competitive selection process. The new Campus Center will be located at the heart of the Harvard University campus, within the existing Holyoke Center designed by Josep Lluis Sert in the 1960's. The project is part of a wider ongoing University 'Common Spaces' initiative designed to ensure its physical spaces foster the campus's intellectual, cultural and social experience. The project is expected to include an indoor multi-purpose gathering space for the whole university community including spaces for exhibitions, retail, food service, performances, study and events, as well as providing welcome and orientation for visitors and the public. Hopkins Architects is partnering with a US team including Bruner Cott, as Executive Architects, Arup, Faithful and Gould, Simpson Gumpertz and Heger and Michael Van Valkenburgh Associates. Construction is scheduled to commence in 2016.